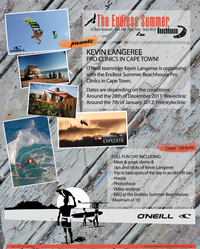 Learn kitesurfing in Cape Town with kite lessons of Kiteboarding school High-Five! Looking for a new addiction that’s healthy and good for the body and mind? Try Kitesurfing and before you know it you are addicted! Why? Jumping meters high in the sky and surfing over the waves with an amazing speed gives you the most freedom and adrenaline kick you maybe ever felt. Try it now and book a lesson by a certificated IKO instructor. check out here how the first lessons look like! We are open seven days a week as long as the wind is blowing. We offer quality for money: we teach maximum 2 students on 1 kite surf instructor. • All kitesurfing equipment required for the kitesurfing lessons is provided. contributes to ensuring your kitesurfing lesson is safe, efficient and enjoyable. • Kitesurfing equipment hire is also available please contact us for rates and info. • All kitesurfing lessons are reliant on minimum and maximum wind strengths. lessons are also available to provide for your individual needs. • 100% ride and satisfaction guaranteed, not satisfied? No payment. All of the kite surfing courses can be adapted to suit your individual skill level. All you have to do is select how many hours you would like and decide what kitesurfing skills you would like to improve on. The kite surfing school can cater for all kitesurfing skill levels from Beginner to Advanced kitesurfers. • Kite set-up and kite maintenance. • Understanding the wind window. • Basic kite flying skills. This Beginner kitesurfing course is the most efficient course and gets students to a really comfortable point where they are not too tired and have thoroughly enjoyed themselves having had an amazing Kitesurfing experience. Achievement level depending on students rate of learning. Approx. 4hrs. This 3 day Kitesurfing course includes land and water based sessions where you will be taught basic Kiteboarding skills, taking you from learning to control the kite to getting up and riding safely. * Upon successful completion of this course you could gain an IKO Level 2 Certificate. Approx. 12hrs. • Kite & Equipment setup. • Step 2: Water Introduction. Includes large kite handling, self-launch and body dragging. • Step 3: Water Skills. Includes advanced body dragging, water re-launch and basic board skills. • Step 4: Board Basics. Includes water starts and first ride. • Step 5: Supervised Riding and Tips. Riding with power, change of direction and holding an edge. We are teaching with the newest hardware of: Mystic & RRD. All these brands are also available for demo and we stock the newest and last years RRD Kites with the best prices in Cape Town!